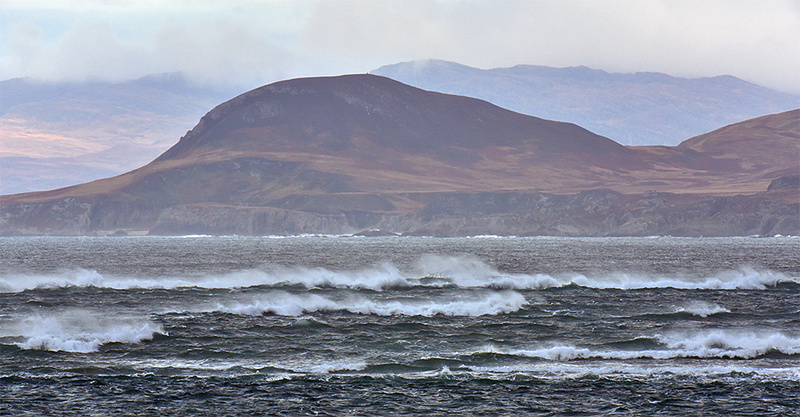 A view from Ardnave over to Mala Bholsa (127m) in the north of Islay on a breezy November afternoon. The waves at the entrance to Loch Gruinart are being blown back by the wind, providing an interesting view. This entry was posted in Cloudy Weather, Landscape, New Post, Sea Loch and tagged Ardnave, Islay, Loch Gruinart, Mala Bholsa by Armin Grewe. Bookmark the permalink.